The Shell Farms & Greenhouses is an expansive 1,000-acre property in Garrard County, 37 miles south of Lexington, Kentucky. The five-generation family farm is operated by 31-year-old Giles Shell and his 60-year-old father, Gary. The two are whizzes at making ornamental flowers flourish, and like most farmers in the area, the family has grown tobacco for years. In late June, the younger Shell stood outside one of six greenhouses on the farm and held up a yellowed tobacco plant with limp rootstock. The Shells know how to save sickly tobacco plants like this one, but they don’t want to anymore. “I’m hoping it’s our last crop,” Shell said. Along the winding back roads of Central Kentucky’s bluegrass country, horses and cows graze on lush plains. For decades, tobacco helped farmers here keep their families clothed and fed. But that’s changing. Tobacco production facilities have slowly migrated to North Carolina, South Carolina and Tennessee due to consolidation within the industry, which has resulted in an ever-shrinking demand for the crop in Kentucky. There’s a replacement crop starting to come in, though: The Shell greenhouses that once nurtured thousands of tobacco plants are now home to 3,200 industrial hemp plants. It’s been close to 70 years since anyone in Kentucky—or anywhere in the U.S.—attempted to legally cultivate industrial hemp in massive quantities. But today, the Shells and other skilled farmers are taking up the cash crop yet again, under the auspices of the five-year pilot Industrial Hemp Research Program, established by James Comer, Kentucky’s commissioner of agriculture, which vets and licenses farmers in the state. As demand for tobacco diminishes, the state’s farmers are turning to growing cannabis—but not the kind you smoke. Shifting gears so dramatically hasn’t been easy. The biggest problem is the learning curve: Hemp isn’t tobacco, which means it’s unlike the crop farmers in the area are most familiar with. A major component of the pilot project has involved figuring out the optimal way to make the plant flourish in a much rainier environment than California or Colorado, where most cannabis is currently grown. Farmers have experimented with a number of techniques: covering the beds to prevent over-watering (as you would, for example, with tomatoes) and growing cuttings in flower pots (as they do with ornamental flowers). 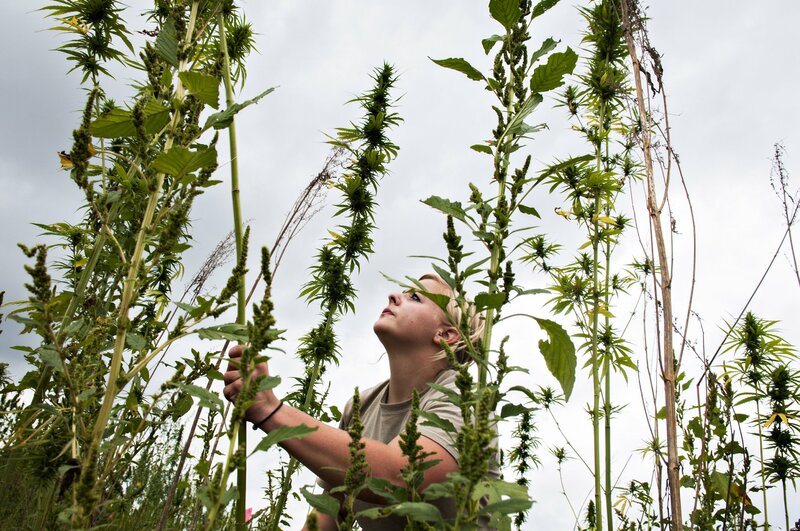 And there’s another undeniable challenge: Industrial hemp is really just a few genetic tweaks away from marijuana and outsiders often don’t know one from the other. “When the stuff really starts to flower it has the same look and smell as marijuana. That’s why we have security” to contend with potential plant thieves, says Shell. The difference between the two cannabis sativa plants is the level of tetrahydrocannabinol (THC), the psychoactive chemical compound in the plant that’s responsible for causing the high. In order for cannabis to be considered industrial hemp, it must contain THC levels less than 0.3 percent; any more and the plant has officially crossed over into weed territory. Currently all cannabis sativa—whether grown to ease chronic pain, get stoned or make rope—is a schedule I controlled substance, a result of the Controlled Substances Act passed by Congress in 1970, though state marijuana laws have changed some of the classifications at local levels. This is viewed as unfortunate by marijuana activists, but also by many in the agriculture industry, including Comer. He hopes to single-handedly turn industrial hemp into Kentucky’s No. 1 cash crop—and in the process, breathe new life into family farms that have lost millions of dollars with the fall of the tobacco industry. Most industrial hemp is grown in China. 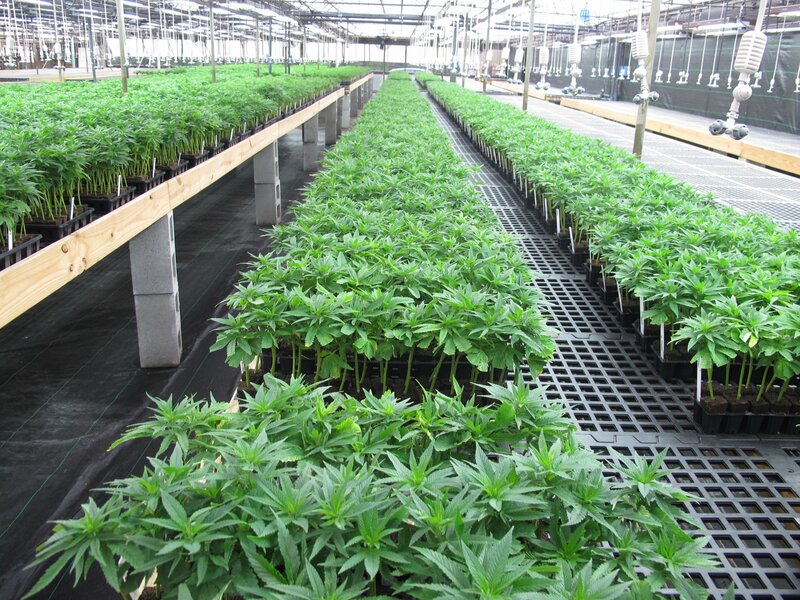 With the right processing methods, the highly versatile plant can provide several notable revenue streams. Cannabidiol (CBD), a chemical compound in the plant, can be extracted from the leaves, blossoms and stems for medicinal and nutraceutical purposes. Cannabis oil derived from cold-pressing seeds is a healthful alternative to the oils sitting on most kitchen shelves, and it is already used in a number of cosmetic and beauty products. Other genetic variants of the plant are cultivated to produce fiber that can substitute for cotton, wood and plastic—a more sustainable way to make everyday products ranging from T-shirts to particleboard and even car dashboards. And then there’s the potential for food. Hemp seed—high in fiber, antioxidants, omega-3s and protein—has a mild, nutty taste akin to flax. With the right marketing it could become the industry’s next superfood. It would also make for nutrient-packed animal feed. With backing from Senator Rand Paul, Comer’s proposed legislation—Senate Bill 50—passed in 2013. It created a regulatory framework for farmers to legally grow hemp in the state. 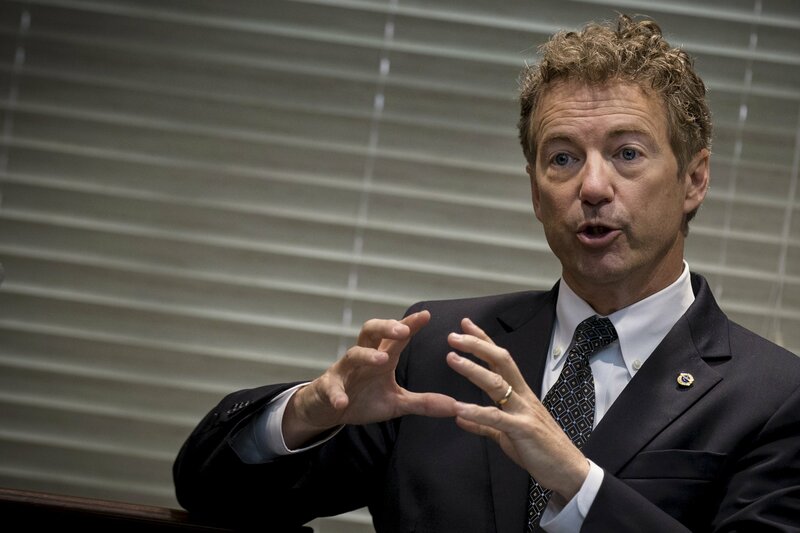 In addition, Paul and Comer were able to get a provision added to the federal Farm Bill that legalized hemp production in states like Kentucky that had programs set up to grow the crop. The bill was signed by President Obama in 2014. Though state and federal lawmakers support the efforts, Comer says it hasn’t been easy for Kentucky’s agriculture department or any of the farmers in the pilot program. Last year was the first for Kentucky’s pilot program, but it yielded only 33.4 acres of industrial hemp in the state. The farmers were capable of growing much more, but the U.S. Drug Enforcement Administration has made it challenging, says Comer. The DEA’s cannabis eradication program provides funding to local law enforcement to form a SWAT team of “cowboys flying around in helicopters.” They have been known to sweep through private farms to confiscate the plants, and have even been known to mistake okra for marijuana. Despite all this, the project has nearly doubled its hemp production this year, and at least 500 people in the state are now employed at it as a result. Comer says he hopes farmers will soon be able to grow at least 10,000 acres. “We want to be the Silicon Valley for industrial hemp,” he says. The state’s backcountry has already become fertile ground for startups like GenCanna Global, which has partnered with six local farms to grow hemp for CBD. Matty Mangone-Miranda, GenCanna’s president and chief executive officer, and Chris Stubbs, its chief scientific officer, conducted early work to cultivate low-THC, high-CBD cannabis plants formerly called “hippie’s disappointment”—since it doesn’t cause a high—and now known as Charlotte’s Web. It’s produced by the Realm of Caring Foundation as a dietary supplement under federal law and as medical cannabis for sale in states that allow for its use. The story of Charlotte’s Web first came to public light in 2013, when CNN aired Dr. Sanjay Gupta’s documentary Weed, featuring Charlotte Figi, a 5-year-old with a rare refractory epilepsy disorder known as Dravet syndrome that caused her to have up to 300 seizures per week. The Figis were preparing to sign “do not resuscitate” forms for their daughter when a friend connected them with the founders of the company, and the girl gained nearly complete seizure control once she started ingesting the CBD oil. After the CNN documentary ran, Realm of Caring couldn’t keep up with the resulting high demand, says Mangone-Miranda. They still have thousands of families on their waiting list. “The lack of supply of oil was a huge problem,” he explains. 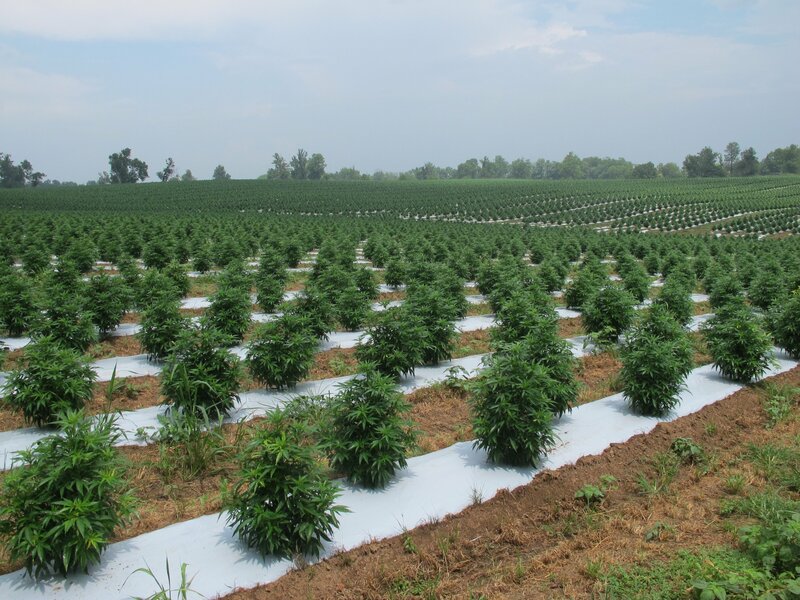 “For me, the logical solution was that we needed a massive, sustainable and reliable supply.” To solve the problem, GenCanna has invested in Kentucky’s farms with the goal of planting 200,000 plants that are genetically similar to Charlotte’s Web in 2015. Now, GenCanna has an increasing list of companies looking to purchase CBD oil to develop novel products that have absolutely nothing to do with treating rare seizure disorders or making healthy granola. The company has received proposals for CBD-infused sports drinks, wine, beer, Listerine-type fresh breath strips and transdermal patches. Despite the regulations and red tape, industrial hemp has already been a saving grace for some of the farmers in the pilot program. The Halverson family, for example, was preparing to shutter their operation, which primarily grew ornamental plants, until GenCanna approached them. The company offered to pay the rent for their property, cover all expenses upfront—including a refurbishing of the greenhouse—and provide salaries to the family and a staff of more than 20. One condition: They would turn all their energies to cultivating hemp and work with GenCanna to learn how to grow this complicated plant and find a way to breed the best version of the plant that is stronger and more aggressive. In the beginning, the Halversons were skeptical. The family are Sabbath-keeping Christians, and it was hard to know what their neighbors would think. But by that time the family had run out of money and options other than to close the farm. So they went for it. At first, they were the subject of the weekly gossip at church. “You get to finishing some choral music, and then the conversation after is ‘Are you guys really growing that stuff?’” says Mikkel Halverson. “We feel that growing hemp is more than just work—it is a way we can help those in need. It is part of a healing ministry.” Now, the Halversons’ 36,000-square-foot greenhouse overflows with thousands of hemp plants.